The popular resorts of Acapulco, Puerto Vallarta and Nuevo Vallarta, on Mexico's Pacific coast could be ideal for Mexico Twin Centre Honeymoon. Over the years we have helped many people arrange their Mexico and Las Vegas Twin Centre Holidays, Mexico and New York Twin Centre Holidays and many other Mexico two centre holiday destinations. We know that no two twin centre holidays are the same. Everybody wants something different. It could be your Honeymoon, Wedding or Special Anniversary. You may wish to combine the excitement of a USA or Canada Tour with the relaxation of an exotic beach holiday in Mexico. It is for this reason that it is very difficult to book Twin/ Multi Destination Holidays online. That is why we recommend Tailor Made Mexico Twin Centre Holidays with ATOL and ABTA Operators building your luxury Mexico holiday itinerary from a wide range of suppliers including Kuoni, Virgin, Thomson, Hayes and Jarvis. Many people think Cancun when they include Mexico as part of their Luxury Twin Centre Holidays. However a holiday in Mexico offers so much more. If you are looking for white beaches and a quiet resort where you can truly relax try Puerto Juarez. Puerto Juarez is a working fishing village, 2 km from Cancun, with a small selection of bars, restaurants and markets. If your preference is for mainly large scale all-inclusive resorts set on fantastic sandy beaches Riviera Maya could be the resort for you. Isla Mujeres(7km long and 650m wide), also offers mainly 4* and 5* all inclusive hotels, but is very popular with divers because of it's location near the coral reefs. Cozumel is another Caribbean island located just off the Yucatan Peninsula in southeastern Mexico, with great beaches for snorkeling and diving around the offshore reefs. Located in the center of the Mayan Riviera on the Yucatan Peninsula of Mexico, approximately 70 km south of Cancun and 20 km west of Cozumel, Playa Del Carmen offers a more relaxed atmosphere. Tulum is one of the oldest tropical beach resorts in Mexico, a beautiful place to relax. Playacar is a popular holiday resort located a short distance from Cancun. Puerto Morelos is a fishing village and a resort located on the Caribbean coast of Mexico 20km south of Cancun. If all these resorts is not enough for you or you have already done all the Caribbean resorts try something different. Mexico's Pacific Coast is home to the original Mexico Holiday resort of Acapulco, located in the south west and popular resorts of Puerto Vallarta and Nuevo Vallarta, located in the north west. You have probably reached this section of our Mexico Travel Guide webpage because you have already decided that you want to have a luxury beach holiday in Mexico and may wish to have a stopover in Las Vegas, New York or somewhwere else in the USA, but you are confused by about which Mexico resort is the best place to stay as part of your Twin Centre Holidays. Use our quick guide to Mexico Holiday Resorts below which shows you what you are likely to find in each resort and some Handpicked Hotels in each resort. What you should consider is increasing your budget and making your special holiday Multi Centre, where you could have a "tailor made" itinerary created by a specialist. You could then have a holiday in New York before flying to Las Vegas, then Mexico and have a stopover in a different USA city such as San Francisco on your way back home. Cancun: is the most popular resort for all inclusive holidays in Mexico and you will find one of the widest ranges of all inclusive hotels. As a guide to prices, single destination 7 nts All inclusive Cancun Holidays Deals may be available from £855.84 per person including Manchester or Gatwick flights staying at the 3.5 star Barcelo Tucancun Beach Hotel. Alternatively staying 7 nts All inclusive in a 5 star Cancun Mexico hotel may cost from £1096.71 per person including Manchester or Gatwick flights staying at the Moon Palace Golf Resort and Spa Cancun. Cozumel: is a Caribbean island located just off the Yucatan Peninsula in southeastern Mexico, with great beaches for snorkeling and diving around the offshore reefs. Isla Mujeres: offers mainly 4* and 5* all inclusive hotels. Only 7km long and 650m wide, Isla Mujeres is a sleepy fishing village located just a short distance from the coast of the northeast of the Yucatan Peninsula in the Caribbean Sea, with a good selection of watersports on offer and very popular with divers because of it's location to the coral reefs. As a guide to prices, single destination 7 nts All inclusive Isla Mujeres Mexico Holidays Deals may be available from £928.86 per person including Manchester or Gatwick flights staying at the Avalon Reef Club Hotel. There are also Isla Mujeres hotels which offer you a choice of Room Only, Half Board and Full Board. Riviera Maya: is mainly large scale all-inclusive resorts set on fantastic sandy beaches lined with coconut trees and the crystal clear waters which are perfect for snorkelling. Riviera Maya is the perfect resort for chilling out and has a wide choice of hotels from 2 star to 5 star luxury resorts. Hotels include the 4 star Occidental Allegro Playacar Hotel, which is rated as excellent by many independent customer reviews. Great location, beautiful resort grounds, good food and unlimited quality drinks as part of the All Inclusive package. As a guide to prices, single destination 7 nts All inclusive Isla Mujeres Mexico Holidays Deals may be available from £825.85 per person including Manchester or Gatwick flights staying at the 4 star Occidental Allegro Playacar Hotel on All Inclusive Riviera Maya Holidays. Puerto Juarez: 2 km from Cancun. Puerto Juarez is a working fishing village with a small selection of bars, restaurants and markets. This is certainly the place if you are looking for a quiet resort where you can truly relax. Mainly 5 star hotels including the Barcelo Maya Colonial Beach & Tropical Hotel with independent guest reviews rating it mainly as excellent. The breathtaking Barcelo Maya Colonial Beach & Tropical Hotel is surrounded by lush 500,000 square meter nature reserve. Customer comments included "Excellent Place To Stay". As a guide to prices, single destination 7 nts All inclusive Puerto Juarez Holidays Deals may be available from £915.64 per person including Manchester or Gatwick flights staying at the 5 star Barcelo Maya Colonial Beach & Tropical Hotel. Playa Del Carmen: offers a more relaxed atmosphere. Located in the center of the Mayan Riviera on the Yucatan Peninsula of Mexico, approximately 70 km south of Cancun and 20 km west of Cozumel. Playa Del Carmen offers a wide choice or all inclusive resorts. Alternatively staying 7 nts All inclusive in a 5 star Playa Paraiso, Playa del Carmen Mexico hotel may cost from £926.29 per person including Manchester or Gatwick flights staying at the Iberostar Paraiso del Mar. Tulum: is one of the oldest tropical beach resorts in Mexico, a beautiful place to relax and catch spectacular vistas when the sun is rising over the Caribbean. As a guide to prices, single destination 7 nts All inclusive Cancun Holidays Deals may be available from £1031.02 per person including Manchester or Gatwick flights staying at the 4 star Dreams Tulum Resort Hotel. 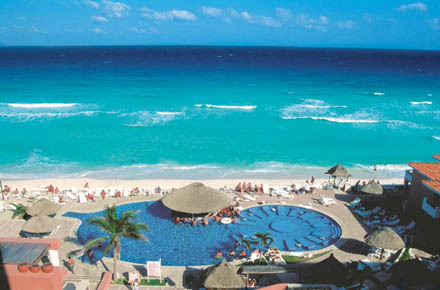 Playacar: is a popular holiday resort located a short distance from Cancun. Hotels include the Occidental Allegro Playacar Hotel, 4 star and rated as excellent by many independent customer reviews. Great location, beautiful resort grounds, good food and unlimited quality drinks. As a guide to prices, single destination 7 nts All inclusive Playacar Holidays Deals may be available from£825.85 per person including Manchester or Gatwick flights staying at the 4 star Occidental Allegro Playacar Hotel on All Inclusive Riviera Maya Holidays. Puerto Morelos:. is a fishing village and a resort located on the Caribbean coast of Mexico 20km south of Cancun. Excellence Riviera Hotel is a smaller more intimate resort. Excellent Adult Only Hotel. Secluded resort with an amazing location. Great Food, good quality entertainmentand a very high level of service from the friendly staff. As a guide to prices, single destination 7 nts All inclusive Puerto Morelos Holidays Deals may be available from£1176.10 per person including Manchester or Gatwick flights staying at the 5 star Excellence Riviera Hotel. Situated on the west side of Mexico is the Pacific coast which has almost 800 kilometres of white sandy beaches, with Banderas Bay right in the middle. Resorts in this area include Puerto Vallarta and Nuevo Vallarta. Connecting flights are available from Puerto Vallarta (PVR) to many USA cities, including Las Vegas and new York, making it easy to include a stay on Mexico's Pacific coast as part of a Mexico Twin Centre Holiday. Puerto Vallarta is situated on the south side of Banderas Bay. Just a short distance away from the sandy beaches you will be on the Malecon promenade, which is colonnaded with shops, bars and some of the best restaurants in Mexico. As a guide to prices, single destination 7 nts All inclusive Puerto Vallarta Holidays Deals may be available from £824.00 per person including Manchester flights staying at the 4 star Canto Del Sol Hotel. Located on the coast north of Banderas Bay on Mexico's Pacific coast is Nuevo Vallarta which combines white sandy beaches and a stylish marina area. As a guide to prices, single destination 7 nts All inclusive Nuevo Vallarta Holidays Deals may be available from £846.00 per person including Manchester flights staying at the 5 star Riu Vallarta Hotel. Acapulco is the original Mexican beach resort. Located in the far south west on Mexico's Pacific coast. There is plenty to do on Acapulco Bay's arc of beaches from paddling in the Pacific Ocean, to water sports including jet skis, or surfing on La Condesa beach. If you prefer quieter sandy beaches take a short boat trip to the small island of Isla Roqueta. For night time entertainment, try the open-air bars and lively clubs on the Costera, Acapulco's main strip. Popular Acapulco hotels include Emporio Acapulco Hotel (reviews rated as Excellent or Very Good, located right on the beach), Las Brisas Acapulco (reviews rated as Excellent, with amazing views), or the 5 star Banyan Tree Cabo Marques (reviews rated as Excellent, located in a tranquil, beautiful setting). A popular holiday destination from the USA but not currently served by UK Tour Operators package holidays. There are plenty of flights from top USA airports such as Los Angeles and New York making it easy to arrange Tailor Made Acapulco Mexico Twin Centre Holidays. Over the years we have helped many people arrange their Mexico Twin Centre Holidays. We know that no two twin centre holidays to Mexico are the same. Everybody wants something different. You may prefer Las Vegas and Mexico or New York and Mexico. It could be your Honeymoon, Wedding or Special Anniversary. You may wish to combine the excitement of a Tour with the relaxation of an exotic beach holiday. It is for this reason that it is very difficult to book Las Vegas Mexico Twin/ Multi Destination Holidays online. That is why we recommend Tailor Made Twin Centre Holidays with ATOL and ABTA Operators building your holiday from a wide range of suppliers including Kuoni, Virgin, Thomson, Hayes and Jarvis. 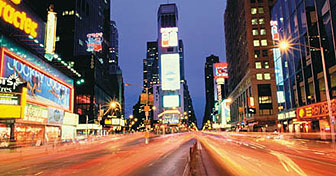 Combine a Las Vegas Holiday with a Cancun, Mexico Holiday Two Centre or Combine Las Vegas with Tulum and New York. Multi Destination Holiday. Alternatively combine a Las Vegas Holiday with a Cozumel, Mexico Holiday or Combine a Puerto Adventuras Holiday with a trip to Vegas and the Grand Canyon. Choose from a combination of exotic holiday destinations in Mexico including Cancun, Cabo San Lucas, Xcaret, Tulum, Isla Mujeres, Caracol, Puerto Morelos, for a twin centre Mexico holiday or multi centre holiday with Las Vegas, Orlando, New York. CONTACT US if you would like a "Tailor Made" Luxury Las Vegas Cancun Twin Centre Holiday Quotation. Las Vegas and Cancun Mexico Twin Centre Holidays 14 nts From £3,032. Las Vegas and Cozumel Mexico Twin Centre Holidays. Las Vegas and Playa del Carmen Mexico Twin Centre Holidays. Las Vegas and Riviera Maya Mexico Twin Centre Holidays. Las Vegas and Xcaret Mexico Twin Centre Holidays. Las Vegas and Tulum Mexico Twin Centre Holidays. Las Vegas and Isla Mujeres Mexico Twin Centre Holidays. Las Vegas and Caracol Mexico Twin Centre Holidays. Las Vegas and Puerto Morelos Mexico Twin Centre Holidays. Las Vegas, Cancun and Orlando Twin Centre Holidays Mexico.